Each subject guide has its own difficulties. In this case it is finding accessible information for a younger age group and the fact that I am not a primary school teacher! Would love some feedback! What is missing from this map? The journey(s) of AT LEAST ONE world navigator, explorer or trader up to the late eighteenth century, including their contacts with other societies and any impacts. There is a LOT of scope here. For the purposes of this guide I will provide broader exploration hints and links and then focus on Christopher Columbus. Others could be easily explored through following the links in the general section. In terms of historical information, start with the encyclopedias that you have access to through your school or local library (get your students to join!). 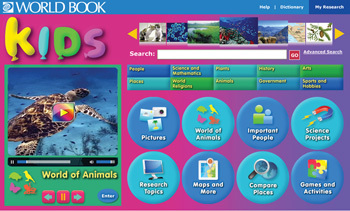 World Book and Encyclopedia Britannica have age appropriate sections, multimedia links and even the option of the text being read aloud. My Favourite Site – Tudor Exploration provides a fun, interactive experience on exploration. Ahoy Columbus! A Cyberhunt. The activity looks approachable for Year 4 although I am not that sure about the references. There are a number of useful videos that your school library should be able to get through Clickview or similar. Schools also have a different copyright situation to me (as they pay money to use/record etc as an educational institution). Turning Points in History – Age of Exploration, Uploaded by AllHistories on Sep 29, 2009, A short three minute introduction to exploration. East India Company – Why were traders willing to risk their lives? Did they make money? Play these games and find out. Want to teach your students about the problems of researching on the internet? 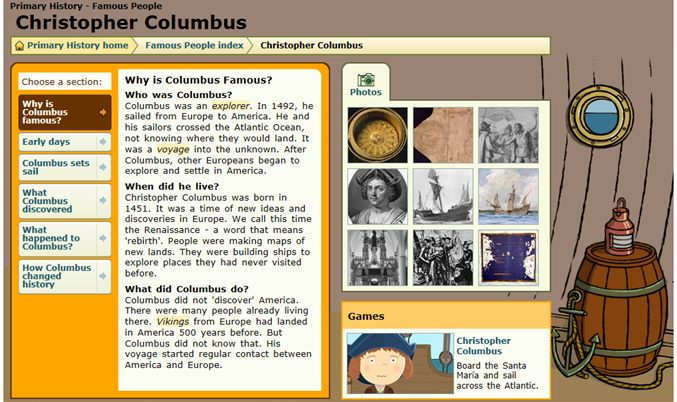 Check out http://allaboutexplorers.com/ this web site, which contains fictional biographies of world explorers, and a series of lessons designed to introduce students to the idea that the Internet is a less reliable source of information than print sources, and while there is an abundance of information available at our fingertips, researchers need to think critically about the facts found there.